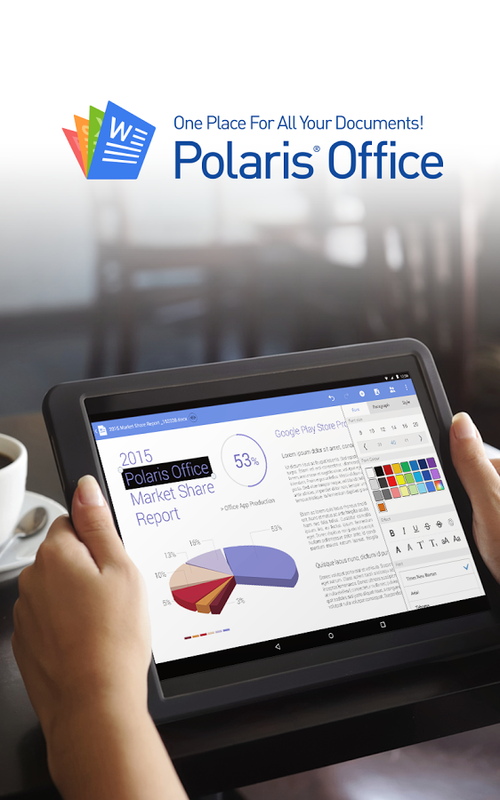 Polaris Office is a free office application suite optimized for Smartphones and Tablets to create, edit, or read Microsoft® Word, Excel, or Powerpoint documents and view PDFs on your mobile device or, from now, in your screen thanks to its Chromecast support. doc, docx, and txt formats of Word documents. ppt and pptx formats of Power Point. xls and xlsx formats of Excel. Great App! We have used Polaris Office for a couple years now, and find it quite easy to use, reliable, and very handy. We just also downloaded the pc app and in spite of being a bit confused about some of the process, it all worked itself out. We’re excited to see if the syncing between my phone and computer work as well as they claim…this would simplify our lifes tremendously! We would definitely recommend this app!